Some of these developers are going further by sweetening their deals through incentives such as 0 per cent agency fees and guaranteed returns, as well as offering up prelaunch prices on projects that have already had gone through an extensive sales phase here. One among their ranks, Texture Properties, is lining up free tickets to Dubai to those buyers at the show who put up 15 per cent as down payment. “At any exhibition, it boils down to the FSI (floor space index or net area used) ... our exhibition is hosed on 3,800 square metres,” said Sunil Jaiswal — President of Sumansa Exhibitions, the organiser of Dubai Property Show. The developers have done their bit, but are overseas investors ready to recommit to Dubai in a big way? Transactions involving non-Gulf buyers in Dubai has seen a decline in the last eight months from the highs recorded in 2013 and first-half of 2014. Since the summer of last year, their presence has remained muted over concerns ranging from too exuberant a price level, weak oil prices and what it could mean for the local economy, and the roiling that some of the global currencies have been through, especially the rouble. 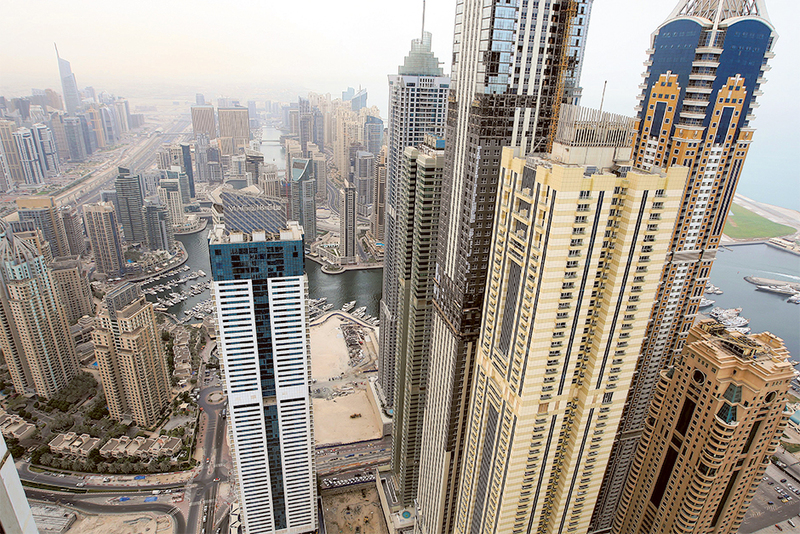 In other words, is a strong dollar getting in the way of an upturn for Dubai property? “A strong or strengthening dollar impacts the ability of overseas buyers in terms of purchasing UAE real estate assets,” said Sameer Lakhani, Managing Director at Global Capital Partners. “For the first time since the advent of freehold legislation in 2002, there has been a systematic secular strengthening of the dollar. “There is a moderately strong correlation between the value of currencies and the price of real estate assets, implying that the downward correction in UAE will continue for the medium term. A further microstructure analysis reveals this correlation is strongest towards the higher value assets and virtually nonexistent in the mid-income space. Leading developers in Dubai have in recent weeks confirmed that their current off-plan exposures to Russian buyers are very much on the lower side, and as such the rouble’s levels will not pose too high a risk. But what it does is quite clearly impact on Russian buyers’ intentions to get into the market now, and more so if they plan to make an investment based on their rouble income. The Indian rupee has, for the most part, been range bound (at Rs17 to a dirham), which is not one to raise too much of a bother for India-based investors looking to outside investments. Dubai’s developers could also become more engaged in luring in more of the high networth Chinese investors. Another potential target are those from Africa — “Ultra-prime estate agents in London are seeing a significant increase in the number of African investors into luxury property in areas such as Knightsbridge, Chelsea and the suburbs, namely from Nigeria,” said Luke Hexter, Head of International Markets at Luxhabitat. “We are seeing a similar trend here ... due to Dubai’s tax-free status, safety, political stability and growing economy, high networth investors from Africa are keen to explore their options in this region.